Tories preparing for snap General Election! At a Cabinet meeting ministers have stated their 'strong disappointment' at laws passed by the Lords which risked 'tying the Government's hands behind its back in negotiations with Brussels' according to Number 10. Asked about the Lords vote, the Prime Minister's official spokesperson said: "There is a role for it to play in providing scrutiny, but the British public have voted to leave the European Union and Parliament needs to get on and deliver that." However it appears that this unhappiness is spreading towards remain saboteurs within the commons with one anonymous cabinet source briefing the major daily newspapers that the Tories are set to go on a war footing in preparation of a snap general election. 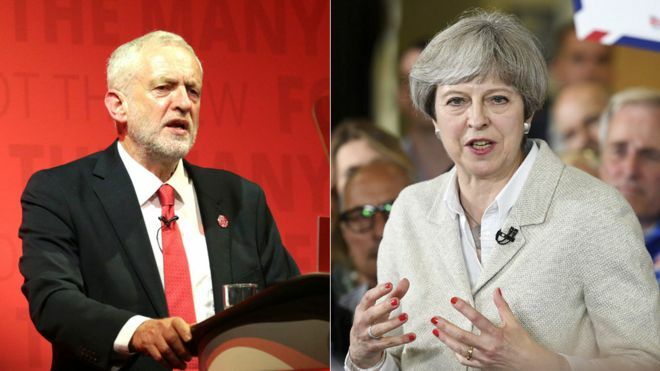 Andrew Hawkins of Comres released a poll last night showing the two parties tied, he said: “That the two main parties are polling neck and neck despite Theresa May’s considerable lead over Jeremy Corbyn on economic management points either to voters being prepared to support a party that they believe will them poorer, or at Election time they will instead opt for what they feel is the safer option." A Brexit-backing minister revealed: "There could be a general election this summer. With the Remainers becoming so intransigent, the Prime Minister may need to call their bluff by going to the country. She may need to call a Brexit election to settle this once and for all. We need to make life uncomfortable for Remain-backing MPs who represent constituencies that voted leave. Labour would be slaughtered in its northern heartlands if the party backed staying in the customs union. It would be a complete betrayal of the referendum." Some aren't so enthusiastic with one backbencher saying: "An election now would be stupid. It didn't work last year and wouldn't work now." Do you agree that no matter what happens we need out the EU now? !